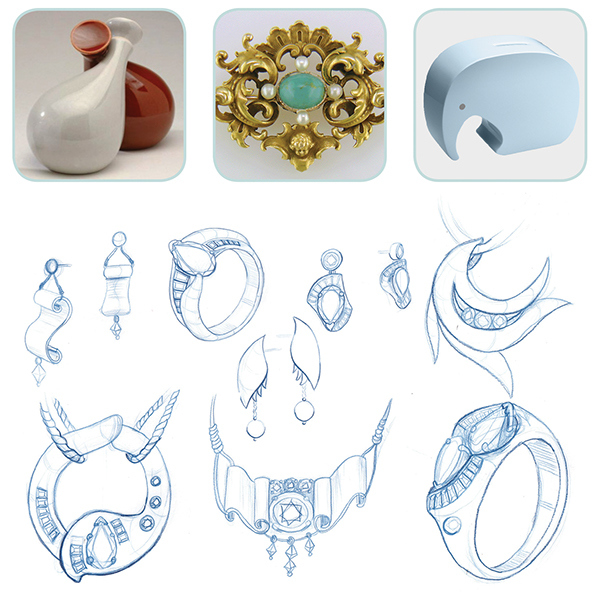 This three piece set of fine jewelry was inspired by Rococo decadence juxtaposed with modern lines. The statement piece in this collection is the earring, for which I created a shape that exaggerates the beauty of the stones. The necklace and ring are more understated than the show-stopping earrings. 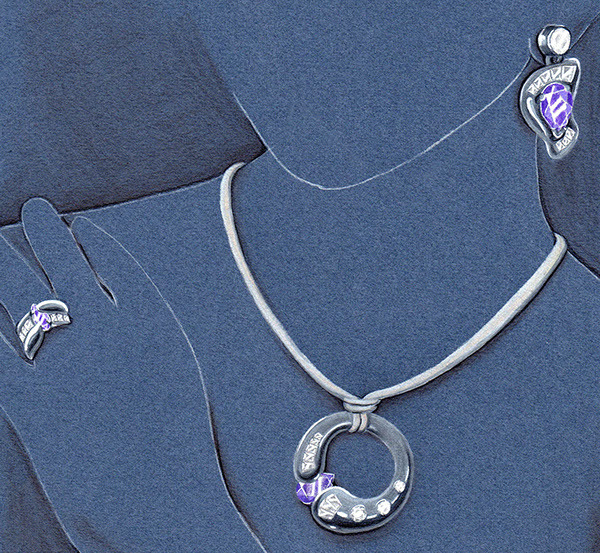 Each piece in this set features a large amethyst in a setting reminiscent of an embrace and accented by diamonds.